A couple of pictures to highlight my adventures in my favorite country. A photo journal of some of my favorite memories and adventures. 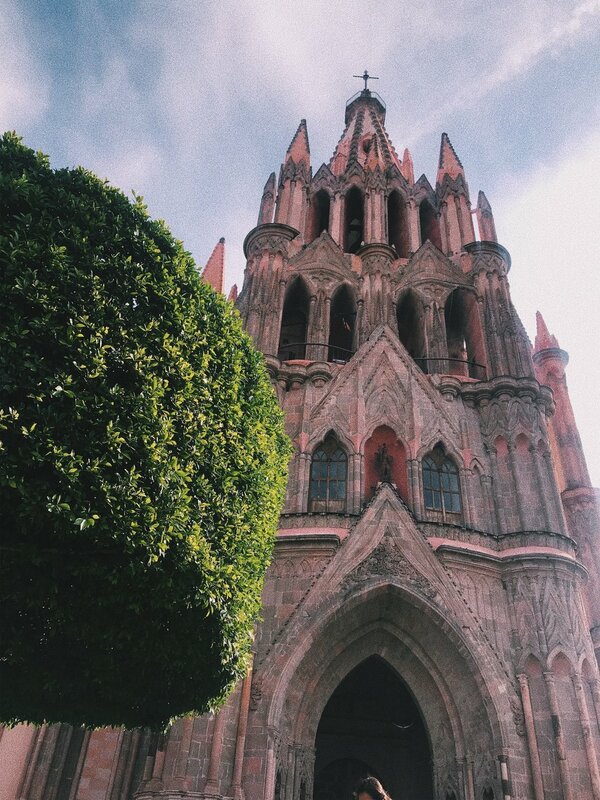 Here's a small photo journal from my favorite pictures from my most recent trip to Mexico. Guanajuato has always had a special spot in my family's heart. It's where my maternal grandparents are from and the colors of the buildings remind me of the vibrant happiness I am constantly searching for in my heart. A seguirle en mi camino por Guanajuato. My sister has always been my adventure buddy. 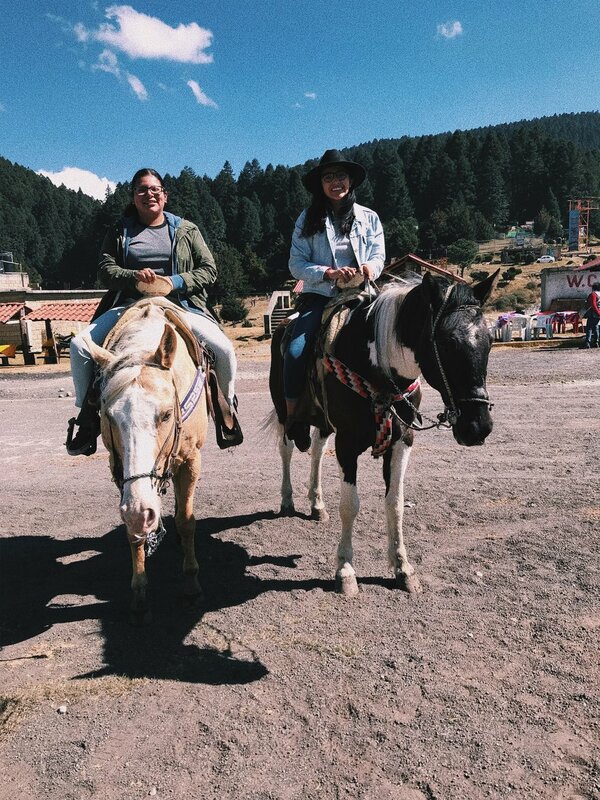 So, why not put two sisters on horses and send them away for an hour? What will you get? Two sisters screaming about the fact that the other one might fall and a rocky path with a lot of wind. 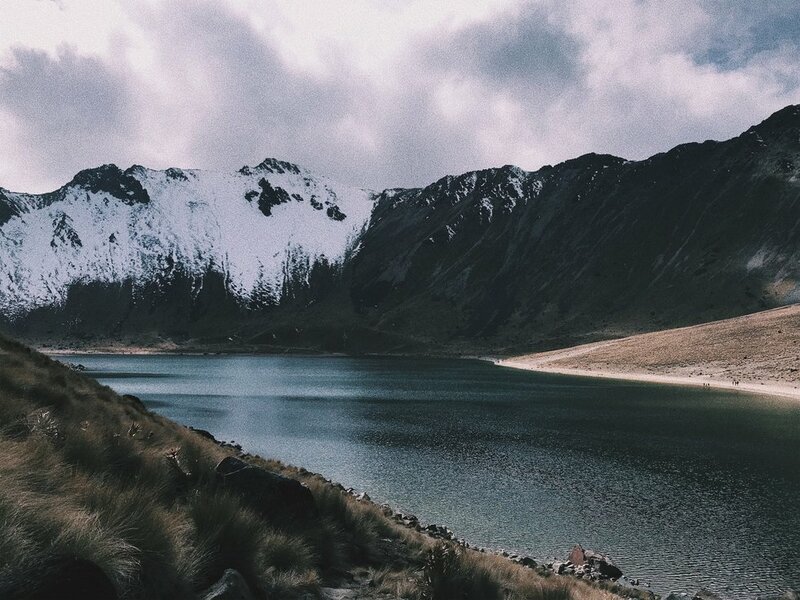 My first time in El Nevado. It was quite the experience going up in the crowded trunk of a truck, wheezing on my way up the side of the mountain. The view once you get to the top is beautiful, but the view at the lakes is just breathtaking. Is it really something that has to do with me if it doesn't involve sports? My family's soccer team keeps on making us love and appreciate them, especially after the private access we got to the stadium. 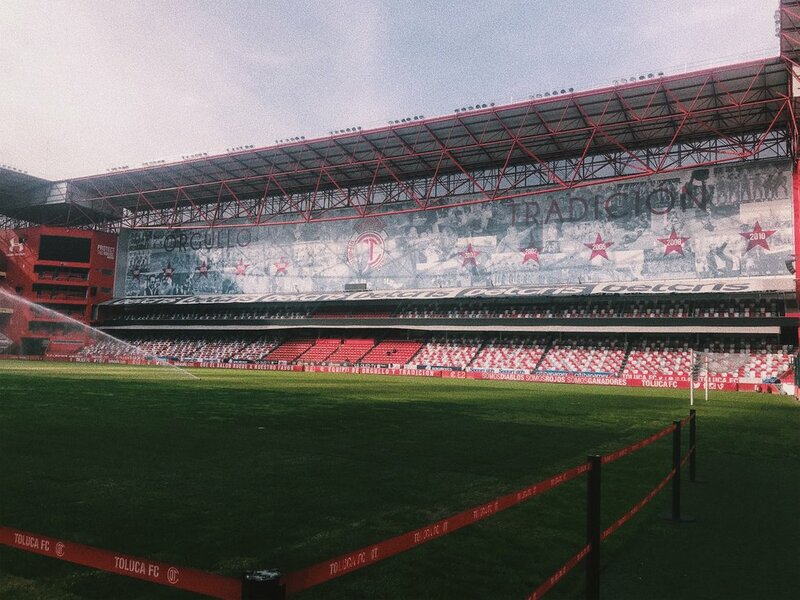 For the first time in two years, my parents got to see the completed and renovated stadium of the hometown team. An art piece had never captured my attention as much as this piece did. 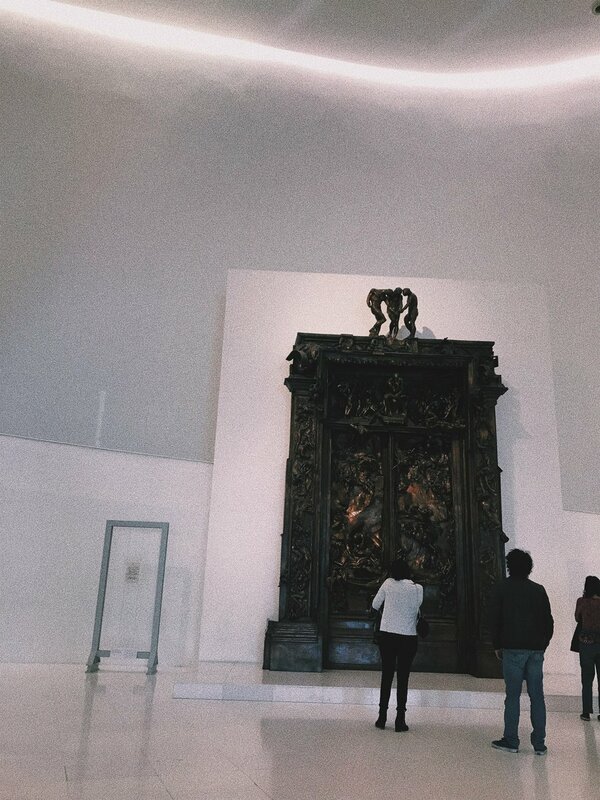 Made out of bronze, La Puerta del Infierno, is the centerpiece, and a fan favorite, of the first floor of Museo Soumaya in Mexico City. 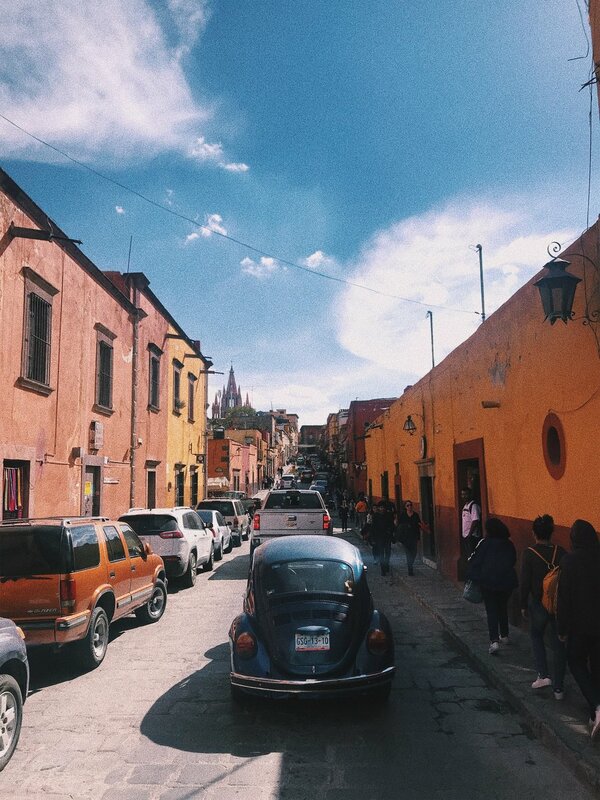 And another picture of San Miguel de Allende in Guanajuato because the beautiful weather and beautiful colors made the traffic leading up to this place not seem so bad. This picture was the center of my aesthetic from the trip. The over filtered pictures that captured some of my adventures from the trip. A trip where I learned the appreciation of life and of family. The trip where I also learned something important, my life is happier in color and when I'm surrounded by those I love.